I watched Barry Levinson’s ‘You Don’t Know Jack’ starring the legendary Al Pacino, last night. It is an outstanding film, to say the least. Al Pacino plays Dr. Jack Kevorkian – The American pathologist and right-to-die activist. Pacino’s portrayal of Dr. Jack Kevorkian won him Emmy Award too. The film got me thinking about euthanasia. Imagine lying on a hospital bed with thin tubes running like snakes through every opening of your body. You want to die. Foreign machines embedded into your skin, pumping in a magical fluid that keeps your time ticking, yet robbing every measure of your humanity. You want to die. You drop in and out of consciousness as they dope you with doses of powerful drugs. You want to die. There is no event in your life except that sharp pain which raises its ugly head at regular intervals. You want to die. You can’t be relieved of your excruciating pain and granted your death because the law refuses to give you the one thing you crave – your DEATH. Legalisation of Euthanasia is one of the flaming issues in society today. Euthanasia is more commonly referred to as ‘Mercy killing’. This is a concept which propagates the ‘Right to Die’. There are countless elderly people and terminally ill patients who have expressed a desire to die and have literally begged for death! Their families have abandoned many of these people as they are considered a financial and an emotional burden, but there are some ‘Humanitarians’ who insist on keeping them alive against their own will. We live in the largest democracy where people have the freedom of choice, yet in their final painful days, when they need to exercise this right and make an important decision, they are denied it. Sad, but true. In some countries Euthanasia has been legalised, but in some it is still inhuman, condemned and illegal. To some people it is an inhumane practice, but to some it’s the only humane thing to do. Imagine a patient in the last stages of cancer, thin and weak, can’t sleep, sit, eat or even talk without pain. He’s waiting for the plug to be pulled on him. Yet, he is forced to fight a battle he knows he has already lost. Why? Only because the law does not allow him to die? People want to die without pain; they wish to end their life with an easy death. They want to die with a smile and not with dreadful pain. Then Why? Why can’t we grant them this last wish? 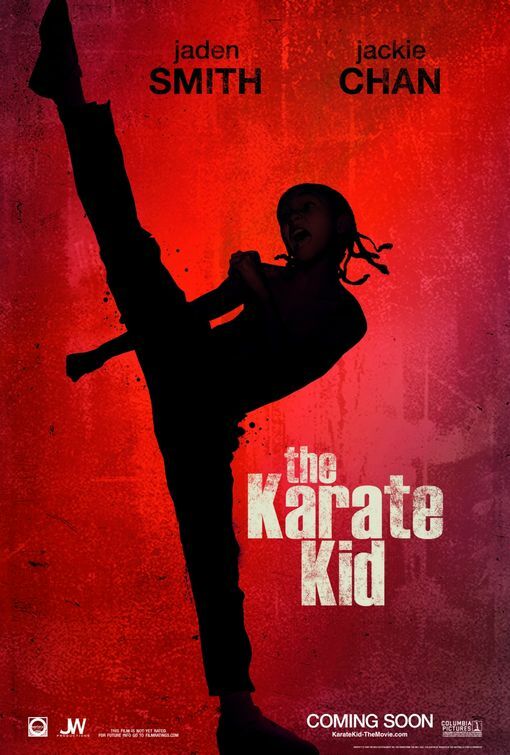 A remake of the 1984 classic of the same name, ‘The Karate Kid’ is faithful to the original film in terms of aesthetics. This film plays by the same basic rules as the 1984 original. Despite a strikingly similar screenplay, it manages to feel distinct through its subtle updates in plot, protagonist, and setting. This is director Harald Zwart’s shot at redemption after making the excuse-for-a-movie ‘Pink Panther 2’ last year. Dre Parker (Jaden Smith) and his mom (Taraji P. Henson) travel to China, where she has been transferred by her car-maker employer. Dre isn’t happy to be trading Detroit for Beijing, but he soon falls for Meiying, a student at his school. This doesn’t sit well with the local band of bullies, all of them experts at the ancient martial art of Kung Fu. (Yes, that is when you question the title of the film.) Mr. Han – the handyman (Jackie Chan) reluctantly agrees to teach Dre how to fight, after almost accidentally signing him up to battle his enemies in an upcoming kung fu tournament. Jaden Smith impresses here as the film’s star, handling the action and emotional scenes in a very effective way. His character arc from a rash rebel to a calm and composed martial artiste is handled very well. Chan for once has ‘acted’ in a film. He is still at his athletic best at the age of 56! Chan portrays a few emotions in the film which I didn’t know he was capable of doing. A pleasant change from his usual comic antics. The cinematography of the film is beautiful. Every shot of China including the ones of the great wall, the Forbidden City and the mountain temple is picture perfect. Roger Pratt who has shot two Potter films and Troy has done a fabulous job of bringing the busy streets of Beijing to life in the film. And although the film does get unnecessarily draggy at times, with quite a number of subplots that are slightly unevenly played out, the training scenes and final battle accomplishes its job in engaging the viewer. When I went for the film in the theatres, people clapped and cheered during the climax. I guess that is a huge compliment to the film. To me, the original will always be special. Mr. Miyagi is a legend in my mind. But, this remake is very well made and engaging. It is one of the very few remakes that stand on its own feet. Watch it.